Designs are available for any size area or any level of detail you desire. Our goal is to provide you with a well thought-out, detailed landscape plan that meets your specifications and reflects your personality. To accomplish this, we feel it is important to know you. 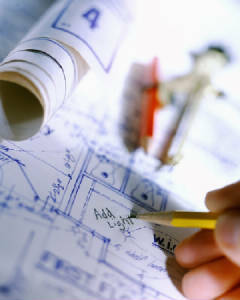 Therefore, the first step in the design process is to have you fill out a landscape questionaire at your convenience. Click here to fill out the landscape questionnaire online. Next, we make an appointment for a visit to the site. The site visit lets us get to know you further and see the site firsthand. We do a visual survey of the property and its surroundings to determine good features and problem areas needing attention. Measurements of the house and site are recorded and photos are also taken during the initial visit. Once completed, we schedule a visit with you to review the design. A photo catalog of the plants used in your design can be prepared for you. Just as important as the design is the plan for implementing the design. At the final presentation of your design, we will present you with an estimate for installation of the plan. If necessary, installation estimates can be prepared for different sections or phases. Designs are billed at an hourly rate. The final fee is dependent on the area designed and the detail desired. 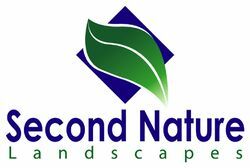 Part or all of the design fee may be rebated from your landscape installation cost when the plan is installed by Second Nature. Your project may qualify for 100% design fee rebate. Ask your designer for details. To view photos of some of our work, please see our online portfolio.